Gov. Cuomo's remark that America "was never that great" and won't be great until all Americans share true equality has sparked backlash. Melissa Russo reports. 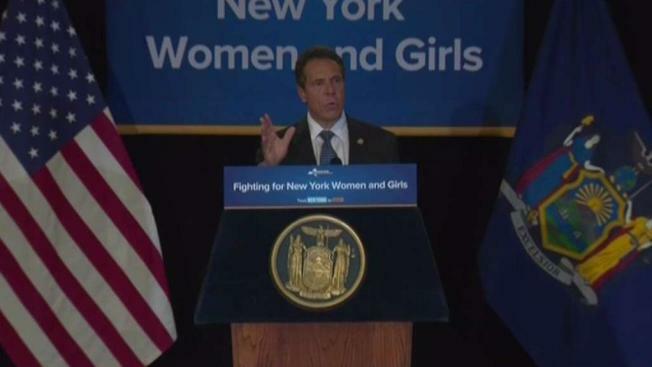 The remarks came in a speech blasting Republican President Donald Trump and his slogan, "Make America Great Again"
America "was never that great" and won't be great until all Americans share true equality, New York Gov. Andrew Cuomo said Wednesday in a speech blasting Republican President Donald Trump and his slogan, "Make America Great Again." Cuomo, who is considered a potential White House contender in 2020, made the remarks at a bill signing event in Manhattan. He said Trump wants to return to a period of greater sexism, racism and intolerance toward immigrants. He said New York would strive to be a liberal alternative where people of all backgrounds are welcome.